The family of Beryl Marjorie Balcom, formerly of Pentz, Lunenburg Co., are saddened to report her death at the Cape Breton Regional Hospital, Sydney on Monday, January 7, 2019, with family at her bedside. Born in Halifax, February 12, 1927, Beryl was the daughter of the late Clifford Henry and Hilda Victoria (Rudd) Whalen. Predeceased by her mother in infancy, Beryl was lovingly raised by her Uncle Henry and Aunt Maude Mosher of Halifax and dear cousins, Marjorie and Clyde. After completing school in Halifax, Beryl graduated from the University of King’s College, and with an additional degree in Library Science from the University of Toronto. Beryl was a Children’s Librarian at the Dartmouth Regional Library during the 1960’s and 1970’s. The skills she gathered during this time were later put to good use as the personal librarian for her bibliophile husband and managing a large personal book collection. An active volunteer throughout her life, Beryl taught guides, Sunday School, and was an active member of the Anglican Church Women’s group and Sanctuary Guild at Saint Peter’s Church, West LaHave. 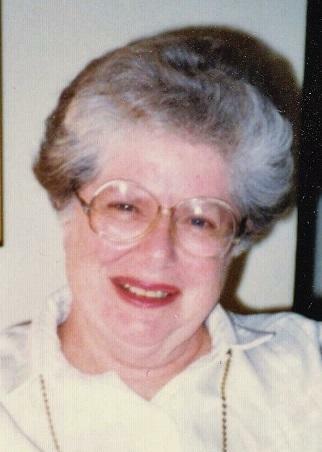 An avid traveler with her husband, she also enjoyed a wide variety of crafts, especially quilting and knitting teddies. She was also a lover and master of words, whether writing stories for her grandchildren or competing with her friends and neighbors at Drumlin Hills at their weekly scrabble games. Survived by two sons, James and Sandy (Debbie); two great joys of her life, her granddaughters, Sarah (Ryan Hartlen) and Katie (Barry McCulloch). Also survived by brother-in-law, George (Ineke Graham) Brandys and several nieces, nephews and cousins. Predeceased by her husband of 66 years, William Kenneth ‘Ken’; son, John; grandson, William in infancy. The family wishes to thank Dr. Everett Weagle of Bridgewater for his ongoing medical care and the doctors and nurses of the Emergency Room and Unit 4B of the Cape Breton Regional Hospital. Interment will take place during the summer in St. Peter’s Church Cemetery, West LaHave, NS. Memorials may be made to St. Peter’s Church, West LaHave, South Shore Public Library (Bridgewater) or the charity of your choice. Words of comfort can be sent to the family at www.sydneymemorialchapel.ca or e-mail sydneymemorialchapel@ns.sympatico.ca.